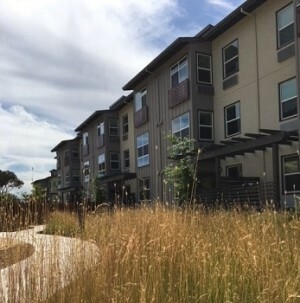 The California Multifamily New Homes (CMFNH) program enrolled the Tabora Gardens project in Antioch, CA in 2016. The project recently completed, and was featured on Housing Finance for its dedication to affordable housing for seniors and veterans. Project developer Satellite Affordable Housing Associates (SAHA) worked to receive funding from a variety of sources. It is now the first project built utilizing the state’s Veteran Housing and Homelessness Prevention Program. Tabora Gardens is an 85 unit project, and already has 34 units occupied by veterans. Tenants at Tabora Gardens earn between 20% and 50% of the area median income. SAHA’s mission is to provide qualify affordable homes and services that empower people and strengthen neighborhoods. Through enrollment in CMFNH, tenants can enjoy the benefits of an energy efficient home. Projects that enroll in our program provide tenants with lower utility bills, and property managers enjoy lower vacancy and turnover rates. Contact your CMFNH representative to learn more.